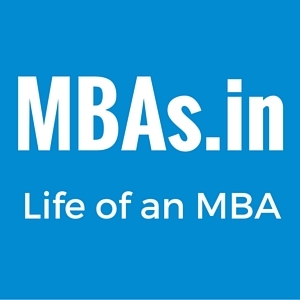 MBA Seminars, events and festivals. That’s a weird question to ask. I don’t know. I don’t know it yet. I don’t even get the question at first and then it dawns upon me. The much awaited Dating List has been revealed in the wee hours of last night and that’s what the entire commotion is all about. Well, we’ve been waiting for it and the time was finally here to know about our first date at MICA. Unable to curtail my curiosity anymore, I ask around if someone saw the name assigned to me. All that I get to know is that there is an unusual and long name there and the one which none of us has heard before on campus. I get intrigued even more. Finally, the excitement and curiosity takes the better of me and I run down the stairs to check the name of my first date. “Sasi Kiran Mallam Reddy”reads the list in the column next to my name. Wow, that’s some name. I say it a few times in my head trying to memorize it. Having worked and lived in Bangalore for few years, I’m not new to such long names and had mastered the art to remembering these names long time ago. I ask around if anyone has heard of this name or seen the person or anything that I can get to know of. I feel lost as I’m completely clueless about my date. What a way to start with! But then I realize wouldn’t it be awesome to go on a blind date and get to know a new person who also happens to be my senior. I love the possibilities that might unfold. After all I’ve had an amazing blind date experience in past during an in my engineering days and continue to be great friends with my blind date and his whole gang till today. This thought gets me excited and now I’m looking forward to Freshers’ Night even more. But it doesn’t last too long as I see people starting to befriend their dates, hanging out with them, making plans, inviting each other formally for the date and of course there is the gift shopping that has to happen. I also want to know or at least see the man I’m going on a date with soon. At least a casual Hi-hello wouldn’t hurt. And I need some idea to buy an appropriate gift for my date. I seek some help from a few seniors I’ve known in last month. Everyone keeps telling me the same things. Well, that’s cool. But, then there is always a big But. Uff!!! Now what? That’s bad news. If my date decides to ditch me and doesn’t even show up, what will I do when everyone else will be busy dating on that night? Who will I party with? All my excitement for the Freshers’ party seems to be going down the drain and the idea of this night now seems to be a dreaded one. Then finally a sweet senior of mine tells me to keep my expectations in check about a date with Sasi and I just might be happily surprised. That’s certainly doable. She also gives me a little peep into the life and routine of Mr. Sasi Kiran Mallam Reddy so that I can figure out a gift for him. I’m a little particular when it comes to gifting. I put a lot of thought behind it and strive to make truly useful and personalized for the recipient instead of just fulfilling the mere formality of it. When I get to know that he runs every morning without fail, I know what I am going to gift him. I shop for a jersey and finally find a cool one in the market. He could use it to run every morning and that thought makes me feel satisfied about finding the perfect gift for my date. That’s one thing sorted. Now, have to wait for the Freshers’ Night for the rest of the drama to unfold. Ritu has completed her PGDM in Communication Management with a super specialization in Brand Management from MICA. She is an aspiring writer, is writing her first novel which she hopes to get published someday. Meanwhile, she is happy to just share her random MBA gyan. Thank you Riya. We write the follow up soon 🙂 . Keep reading. When should you think twice before joining IIM A? The beginning of SIMS journey. My first day experience! how do I get cumelaude predicate on campus?